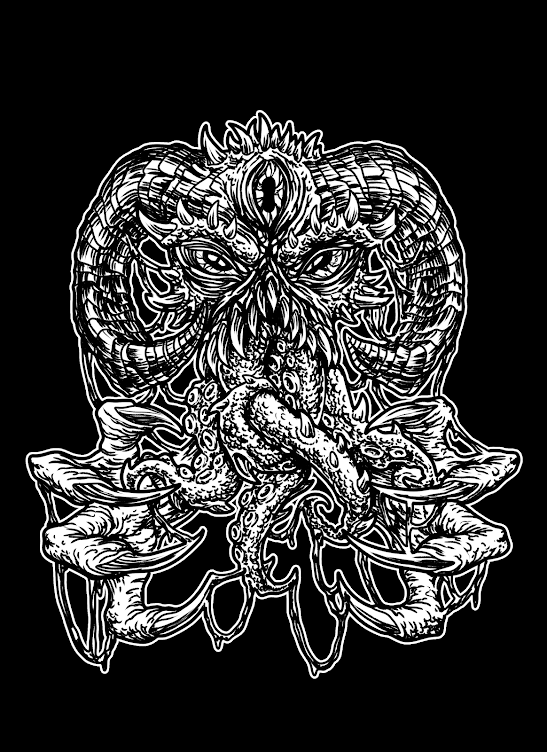 The Sludgelord: ALBUM REVIEW: A Pale Horse Named Death, “When The World Becomes Undone"
ALBUM REVIEW: A Pale Horse Named Death, “When The World Becomes Undone"
A bold and defiant display of the group’s collective talents, “When The World Becomes Undone” highlights the strengths of his band – atmospheric build, riffs and conviction in performances. Formed in Brooklyn by one Sal Abruscato, A Pale Horse Named Death have come to be viewed as the spiritual successor to Type O Negative, one of the finest metal bands of the 1990s. The primary purveyors of sexual synth-laden gothic doom metal, they released a string of classic albums, complete with sludgy pop-covers and 11 minute odes to hair dye. Their career was tragically cut short by the untimely death of their enigmatic frontman, Peter Steele, following the release of their splendid, but unintended and absurdly underrated swan-song “Dead Again”. The band rightly saw no future without him, and they ultimately dissolved. 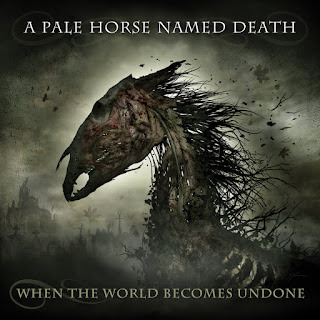 A Pale Horse Named Death have been hoping to carry on the legacy of the legendary group who preceded them, and “When The World Becomes Undone” is their first effort in 6 years. Despite being only present for the early days of Type O Negative, Abruscato had an immense impact. On 1991’s savage and menacing “Slow, Deep and Hard” and the follow-up, 1992’s delightful faux-live album “The Origin Of The Feces”, complete with fake boos from the crowd and the production credit for notorious 19th century freak-show ringleader P.T. Barnum, the unmistakeable groove of Abruscato propelled this New-York gothic-doom four-piece. He was essential in turbo-charging their music to its explosive limits. They were certainly a curious commodity, but it was only with the release of 1993’s “Bloody Kisses”, a wildly inventive breakout album, that the band reached their final form. It would prove to be the final album to serve Abruscato, who would go on to be replaced by Johnny Kelly (although the band, rather insultingly, would often employ a drum machine in the studio). It is a surprising turn of events then that Abruscato and Kelly have joined forces, with the former taking vocal and guitar duties while the latter remains behind the kit. The remaining line up has seemingly been a revolving of accomplished but obscure musicians, and perhaps it is for this reason that A Pale Horse Named Death are seen as the successor of Type O, for it certainly isn’t the music. There are some similarities; the music is not short of riffs, they are unafraid of the use of the synths, and the band are happy to take their time reaching their destination. However, even within these common links, there are differences which make themselves immediately clear. Type O’s unmistakeable chamber synths have been traded for more organic, authentic lavishes of instrumentation, as shown most effectively on the title-track. Furthermore, the riffs present on “When The World Becomes Undone” lumber more than they slam, and individually, the songs present less variety. The band are likely to take an idea to its logical conclusion rather than surprise the listener. This is by no means a negative trait, in fact this is often the norm in doom metal, and in this case it even shows APHND stretching their wings. The album highlight, “Splinters”, calls upon the more recent work of Amebix as well as Danzig’s classic era. A bold and defiant display of the group’s collective talents, it highlights the strengths of his band – atmospheric build, riffs and conviction in performances. This is a key example of them playing to their strengths, and it would be wise of this group to continue to experiment in this realm in the future. By diluting the direct Sabbath influences with punk and gothic influences, the band distinguish themselves from their countless and often unremarkable peers. The album does suffer some fatal flaws however. Vocally, the band are lacking all the necessary charisma. Despite all the best will in the world, people are always going to compare this group to Type O Negative, who boasted one of the most alluring frontmen of the decade in Peter Steele. Boasting an irresistible dry wit and knack for language, often delivered in his haunting baritone, his charm was one of the primary factors for their success; one need only watch his now infamous appearance on Jerry Springer, where he manages to seduce a crowd of conservative women itching to boo him, to see how potent he was in this regard. This may seem a miniature aspect to the band, but it was the root of much of their appeal. Here however, Abruscato doesn’t have nearly the same talent. He’s a passable frontman, but it does prove a sore point for both the band and the album. The band suffer their lack of charisma when compared to Type O Negative, but even when analysed as their own entity without the weight of history on their shoulders, the band don’t stand out in the way they ought to. Despite boasting decades of experience among them, the band struggle to establish a personal identity, and in a style of music seemingly as stagnant as this, it proves to be problematic. The band are a perfectly functional supergroup, but they never do enough to escape the shadow of their history, and it does often taint the listening experience. A Pale Horse Named Death are unlikely to ever be held up as an extraordinary, or even significant, band, but perhaps that’s not their purpose. Perhaps they are to be remembered as a perfectly functional doom-metal supergroup who possess moments of true greatness. There’s enough on “When The World Comes Undone” to suggest they have room to grow, and that’s an admirable trait. The band also show sustained conviction, a quality often rare in super-groups. The band sound hungry, and that takes them a long way. While the final product is a mildly underwhelming presentation this time around, there is still hope they will capitalize on their cumulative talents in the future. 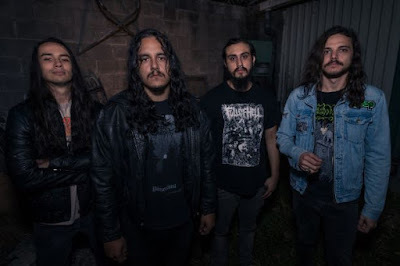 ALBUM REVIEW: Great Falls, "A Sense Of Rest"
ALBUM REVIEW: Terrorizer, "Caustic Attack"
ALBUM REVIEW: Son of Cain, "Closer To The Edge"
ALBUM REVIEW: Ultha, "The Inextricable Wandering"
ALBUM REVIEW: Pale Divine, "Pale Divine"